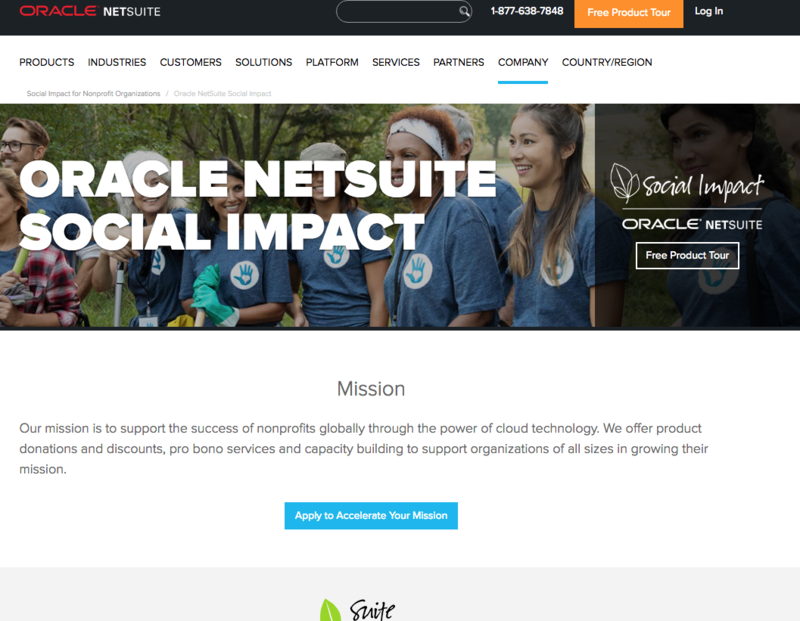 Oracle NetSuite announced it is expanding its NetSuite Social Impact program, including product donation, pro bono expansion and online community building. The initiative is to help nonprofits move more financial operations to the cloud and away from on-premises software and storage. “The NetSuite Social Impact program has helped thousands of nonprofits and social enterprises in the last 12 years, but this is just the beginning and there is so much more we can do,” Evan Goldberg, executive vice president of development, Oracle NetSuite, said via an announcement. * Suite Donation: To help nonprofits rapidly implement new business systems in the cloud, NetSuite adding to its Nonprofit SuiteSuccess. In addition to the software donation, every Social Impact customer will receive an activation of the solution at no cost. Best practices from NetSuite’s other nonprofit implementations are in the activation. * Suite Pro Bono: NetSuite is extending the reach of this program to all areas of professional assistance. The expanded program, which includes skilled pro bono and executive coaching, will be delivered by more than 6,000 NetSuite employees, partners and customers in a variety of areas from marketing to financial management. It initially was simply technology engineering but will now include marketing and others aspects of running the organization. * Suite Capacity: NetSuite expanding its online learning resources to launch aa online community and knowledge center. The extended online resources and educational opportunities will include guidance on leading practices and education that builds confidence, skills and success.